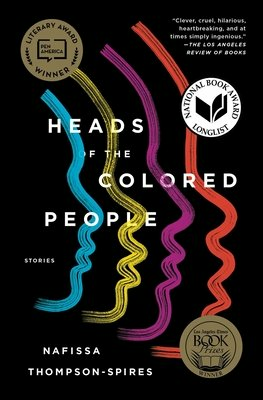 *Winner of the PEN Open Book Award* *Winner of the Whiting Award* *Longlisted for the 2018 National Book Award and Aspen Words Literary Prize* *Nominated for the PEN/Robert W. Bingham Prize* *Finalist for the Kirkus Prize and Los Angeles Times Book Prize* Included in Best Books of 2018 Lists from Refinery29, NPR, The Root, HuffPost, Vanity Fair, Bustle, Chicago Tribune, PopSugar, and The Undefeated. In one of the season's most acclaimed works of fiction--longlisted for the National Book Award and winner of the PEN Open Book Award--Nafissa Thompson-Spires offers "a firecracker of a book...a triumph of storytelling: intelligent, acerbic, and ingenious" (Financial Times). Nafissa Thompson-Spires grapples with race, identity politics, and the contemporary middle class in this "vivid, fast, funny, way-smart, and verbally inventive" (George Saunders, author of Lincoln in the Bardo) collection. Each captivating story plunges headfirst into the lives of utterly original characters. Some are darkly humorous--two mothers exchanging snide remarks through notes in their kids' backpacks--while others are devastatingly poignant. In the title story, when a cosplayer, dressed as his favorite anime character, is mistaken for a violent threat the consequences are dire; in another story, a teen struggles between her upper middle class upbringing and her desire to fully connect with so-called black culture. Thompson-Spires fearlessly shines a light on the simmering tensions and precariousness of black citizenship. Boldly resisting categorization and easy answers, Nafissa Thompson-Spires "has taken the best of what Toni Cade Bambara, Morgan Parker, and Junot D az do plus a whole lot of something we've never seen in American literature, blended it all together...giving us one of the finest short-story collections" (Kiese Laymon, author of Long Division).